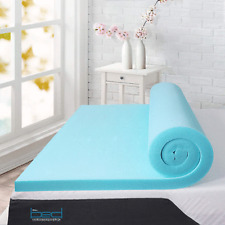 With this mattress topper, you can revitalize an aging mattress, change the softness or firmness, or give yourself an extra layer of luxury to sleep on. Dry the mattress topper in a large capacity dryer on the lowest temperature setting possible to prevent shrinkage or stretching of the elastic. 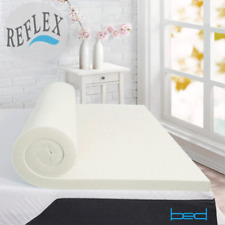 100% Memory Foam Mattress Topper | Small Single | 1" Thick | Next Day Delivery!